Need I say more! 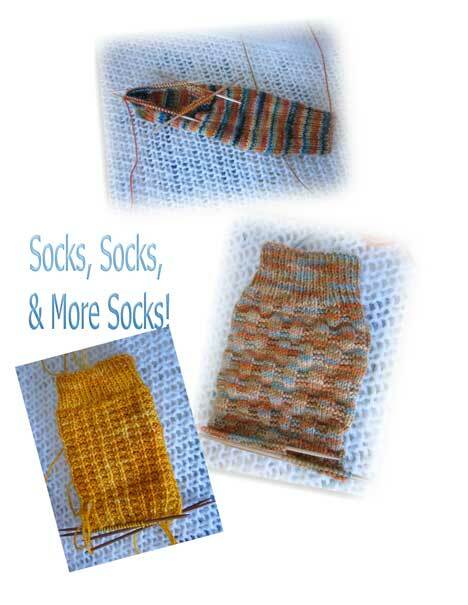 Here’s the beginning of 3 pairs of socks waiting to be worked on. I also admit that there are 3 other pairs started that I didn’t photograph. I actually like all of these knitting projects but just can’t seem to finish one before I start the next. Now I have all summer to finish these and next winter, I’ll have brand new socks to keep my feet warm.